Framed PT Jay By Scott Stisser. 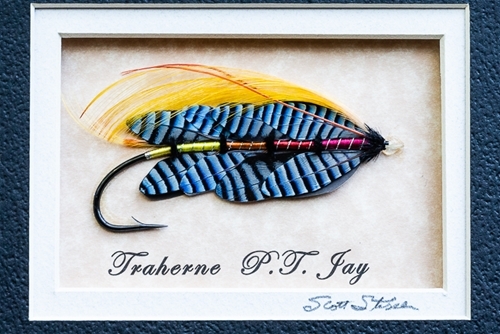 This is a famous framed Major John Traherne pattern tied on a hand made 7 or 8/0 hook made by Scott Stisser. Scott will custom sign the fly on the back of the fly plate.